Penna, L. and Allaria, C. (2004). Conservation of Buildings: Historical Overview. 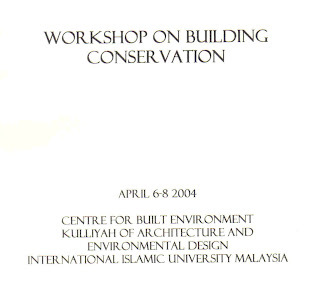 Workshop on Building Conservation, 6th. April 2004, International Islamic University, Kuala Lumpur. Ms. 1-10.